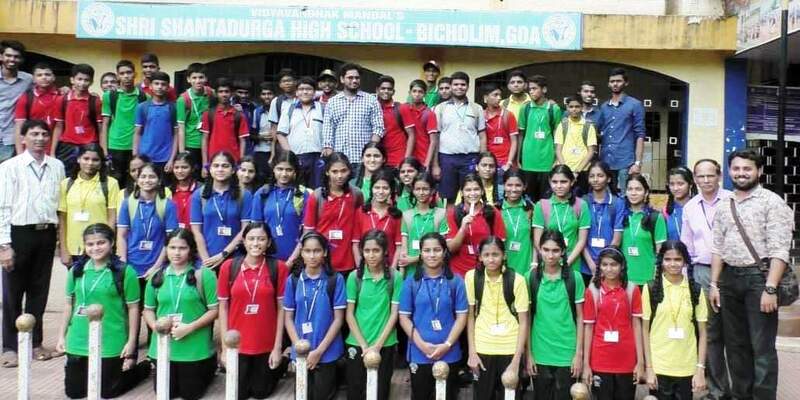 MecHEADS, a student�s group of the Mechanical Engineering Student�s Hub of Don Bosco College of Engineering, Fatorda organized a half day workshop on �Introduction to Robotics� at Shri Shantadurga High School, Bicholim for the students of Std X under the Banner of JCI Vasco on October 6, 2018. The workshop was inaugurated by Principal, Gollan and Mahesh Govekar of Goa 365 was the special guest. The students were introduced to basics of Robotics with hands on experience on identifying various electromechanical components and making a line follower Robot by the team members. They also covered topics on Goal Setting, Creativity and Leadership. Several activities were organized for the students wherein they actively participated. The MecHEADs team comprised of Anuj Dhond, Tejas Pandit, Rohit Prabhu, Sankalp Sawant and Rohan Naik Borkar. The students are grateful to Director, Fr. Kinley D� Cruz , Principal, Dr. Neena Panandikar, HOD (Mechanical) Prof Ajit Salunke , Mesh Coordinator Prof Suraj Marathe and MecHEADS Coordinator, Prof Ishaan Kossambe for their support in organizing the program.